Colorado Springs Bicycle Accident Attorney | WM Andrew Wills II P.C. Living in Colorado Springs, or anywhere throughout the area or state, it is obvious how important biking and an active lifestyle are to countless residents. 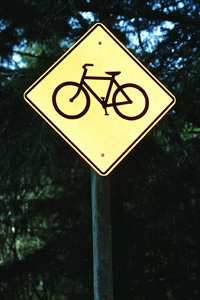 When car and truck drivers fail to take the rights and safety of bicyclists into account, however, serious injuries and deaths can occur in these bicycle accidents.At Wm. Andrew Wills II, P.C., personal injury lawyer Drew Wills steadfastly protects the rights of bicyclists who are hurt in car accidents or other motor vehicle crashes. He can help you determine the compensation you deserve and help you build a strong claim for recovering it. Even if you were wearing a helmet, a bicycle accident with a car carries the potential of head injury, broken bones, paralysis and lifelong complications from your injuries. An experienced attorney like Drew Wills can help determine the compensation you should pursue and help you navigate the complex legal system and insurance industry. This will put you in the best position to maximize your compensation to meet your future needs. Get The Help You Need. Call Wm. Andrew Wills II, P.C., Today. Let Colorado Springs personal injury lawyer Drew Wills handle the hard work of your case while you focus on recovering from your injuries. Schedule a free consultation at his law firm today by calling 719-373-1777.